After months of telling myself, I’d own a set of these amazing lights. I finally pulled the trigger on picking up a set of LP9 Pro Driving/Combo to replace my XL80s on my front bumper. The install took under 2 hrs and was as simple as plug and play thanks to Bantam system by sPOD. The housing was designed to provide exceptional heat dispersion by using Direct Ducted Cooling, which allows air to travel from the front of the housing to the rear. 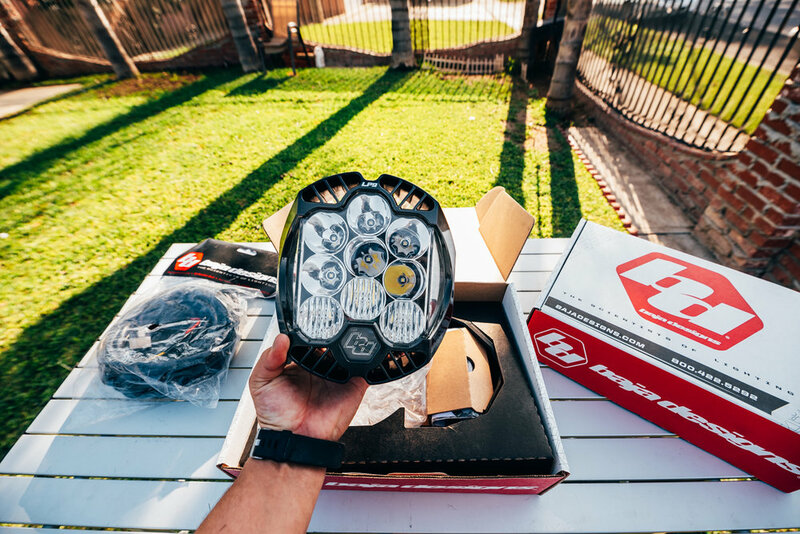 With a DRL , Low, and High power mode, the LP9 will fulfill all your lighting needs. Based on just aesthetics, I’m in love with aggressive look of the LP9 Auxiliary Light and how the front of the jeep looks compared to my Baja Design XL80’s Pro. The LP9 really completes the jeep giving the front end a much fuller appearance. Having opted for Driving/Combo this give me a nice light pattern when driving at night, I also chose to connect the (backlight amber) wire feature of LP9 to my jeeps daylight running lights. I connected the LP9’s wiring (Hi Pwr) mode to my sPOD and did not wire the (Low Pwr) wire. The Bantam gives me the feature to dim my lights, so I figured I wouldn’t need the Low mode on my LP9. Overall, I’ve very happy with my purchase of LP9s. If you have any questions or want recommendations on lighting solutions feel free to drop a message or send me email. I’ll be sure to update this blog with some great night shots of these lights in action!. Thanks again.